Qualcomm has backtracked from an earlier statement in which a company executive said Apple's A7 64-bit chip in the iPhone 5s is a marketing gimmick, and that the technical advance had limited benefits in mobile devices. In an interview with the IDG News Service last week, Qualcomm Chief Marketing Officer Anand Chandrasekher said that Apple's A7 will give iPhone 5s users "zero benefit" beyond more memory addressability. He also said Qualcomm was developing a 64-bit chip, but sees it more beneficial from engineering, chip design and operating system standpoints. 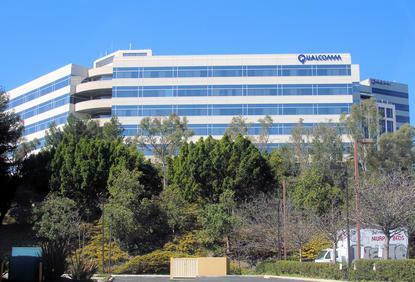 "The comments made by Anand Chandrasekher, Qualcomm CMO, about 64-bit computing were inaccurate," said a Qualcomm spokesperson in an e-mail. "The mobile hardware and software ecosystem is already moving in the direction of 64-bit; and, the evolution to 64-bit brings desktop class capabilities and user experiences to mobile, as well as enabling mobile processors and software to run new classes of computing devices." Qualcomm did not provide further comment. The company has a close working relationship with Apple and supplies modems used in iPhones and iPads. Qualcomm and Apple both design mobile chips based on ARM architecture. Apple did not immediately respond to requests for comment. Apple is the first to put a 64-bit A7 chip in a smartphone, and is about a year ahead of its Android smartphone rivals in doing so, analysts estimate. A benefit of 64-bit is the ability to put more than 4GB of memory in smartphones, but the iPhone 5s has only 1GB of DRAM. Servers and PCs use 64-bit operating systems because of the need for more memory, and analysts questioned the worth of a 64-bit chip in the iPhone 5s. The A7 chip is based on the ARMv8 instruction set. Apple says that the new A7 chip is faster at accelerating mathematical and security tasks, and a wider instruction set gets rid of some of the inefficiencies in older ARM instructions. Many of the performance benefits have been attributed to the new instruction set, but questions still remain on how much performance can be credited purely to 64-bit addressing. Qualcomm is one of the world's top suppliers of chips for smartphones and tablets, and its Snapdragon chips are used in Android and Windows Phone smartphones. The company is also pushing its chips into netbook-like devices with mobile broadband connectivity. Chips based on ARM architecture with 64-bit addressing are also expected to reach servers starting next year. Chandrasekher last week said that 64-bit chips are more relevant for server class applications, and added the company was keeping a close watch on the server market for opportunities. ARM Holdings licenses out processor designs and architectures to third parties. Some famous ARM licensees include Apple, Samsung, Nvidia, Qualcomm and Nvidia.